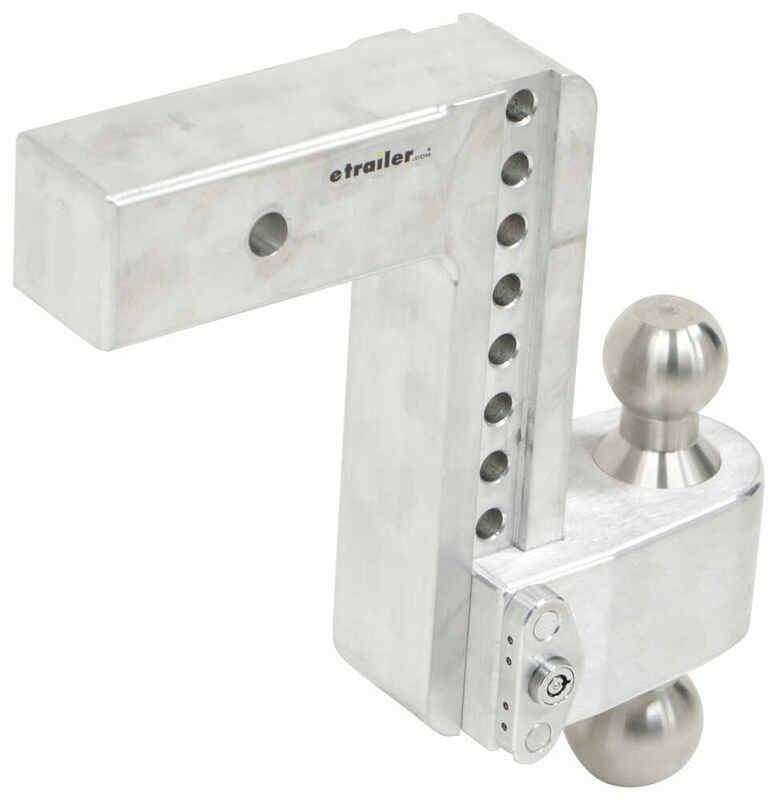 This rustproof aluminum, adjustable ball mount with stainless steel hitch balls lets you tow up to 8,000 lbs with the 2" ball or up to 14,500 lbs with the 2-5/16" ball. Use in drop or rise positions. Ball platform locks to shank. 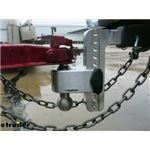 Call 800-298-8924 to order Weigh Safe ball mounts part number LTB8-25 or order online at etrailer.com. Free expert support on all Weigh Safe products. 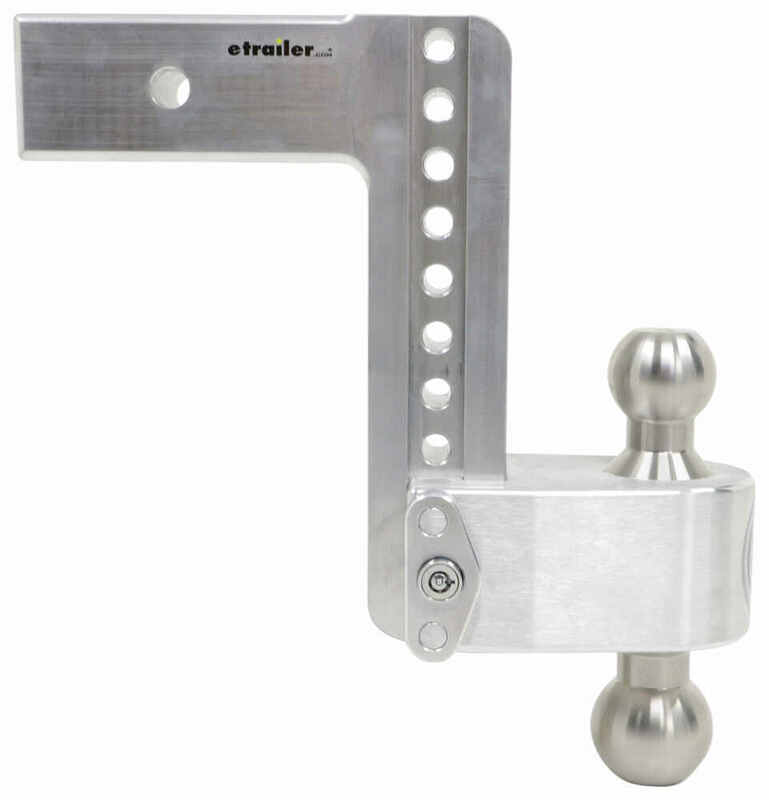 Guaranteed Lowest Price and Fastest Shipping for 180 Hitch 2-Ball Mount w/ Stainless Balls - 2-1/2" Hitch - 8" Drop, 9" Rise - 14.5K. Ball Mounts reviews from real customers. 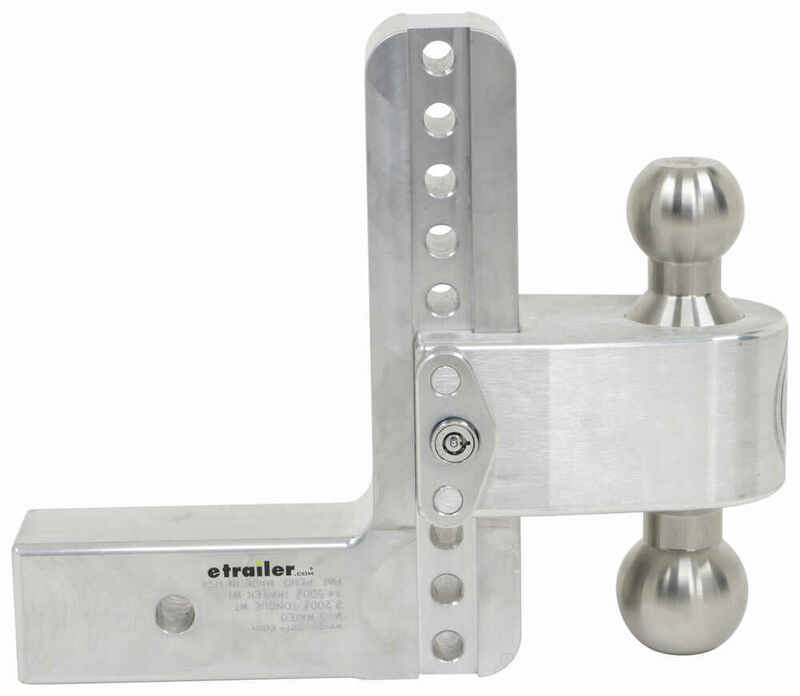 This rustproof aluminum, adjustable ball mount with stainless steel hitch balls lets you tow up to 8,000 lbs with the 2" ball or up to 14,500 lbs with the 2-5/16" ball. Use in drop or rise positions. Ball platform locks to shank. Speaker 1: Today we're taking a look at the Weigh Safe 180 Ball Mount. 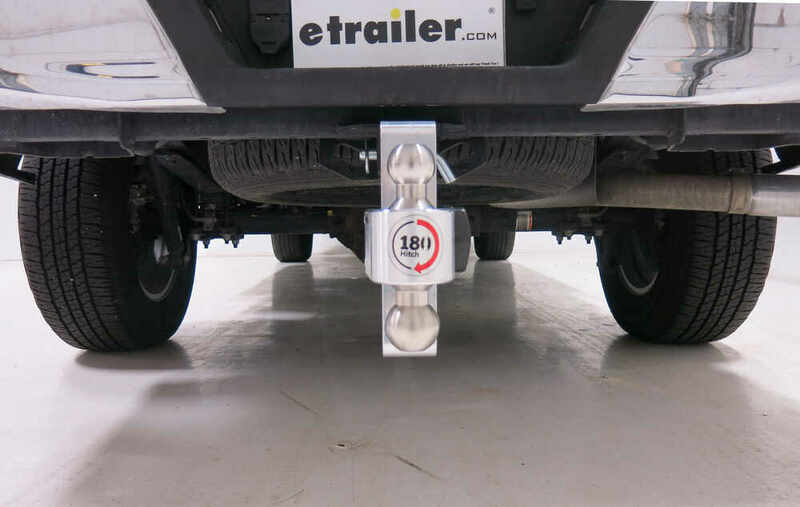 This ball mount features a maximum gross towing weight of 14,500 pounds when using the 2-5/16 inch ball, and 8,000 pounds when using the two inch ball. Tongue weight capacity on this unit is 2,200 pounds. It's made in the USA and covered with a limited lifetime warranty. 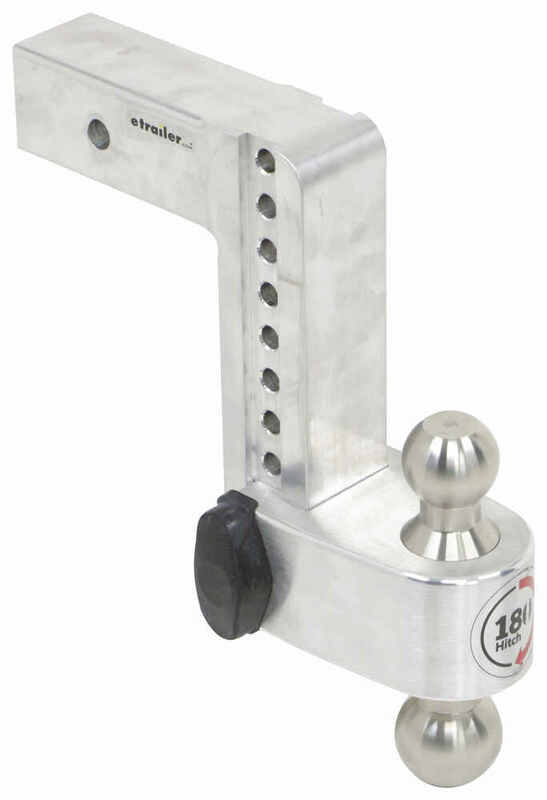 It is designed to fit into a 2-1/2 inch by 2-1/2 inch trailer hitch receiver, and it can be used in either the drop or rise positions. 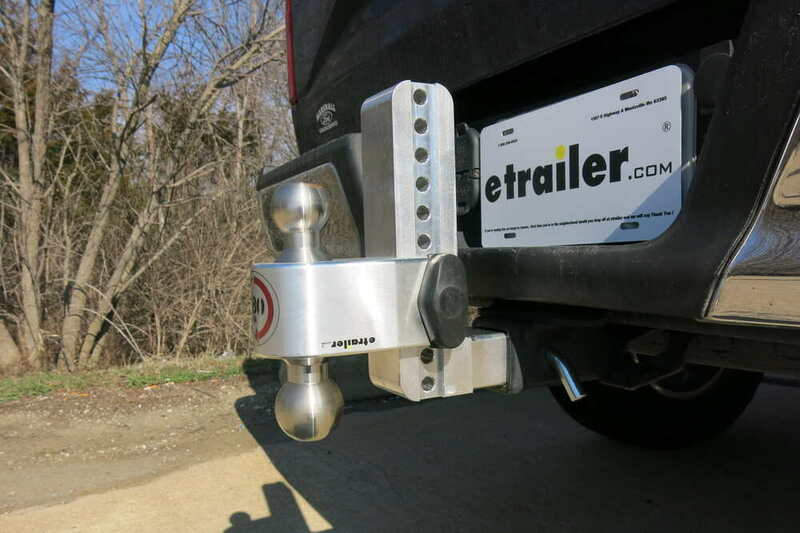 Now this ball mount with the built in hitch balls lets you hook up your trailer to your tow vehicle. 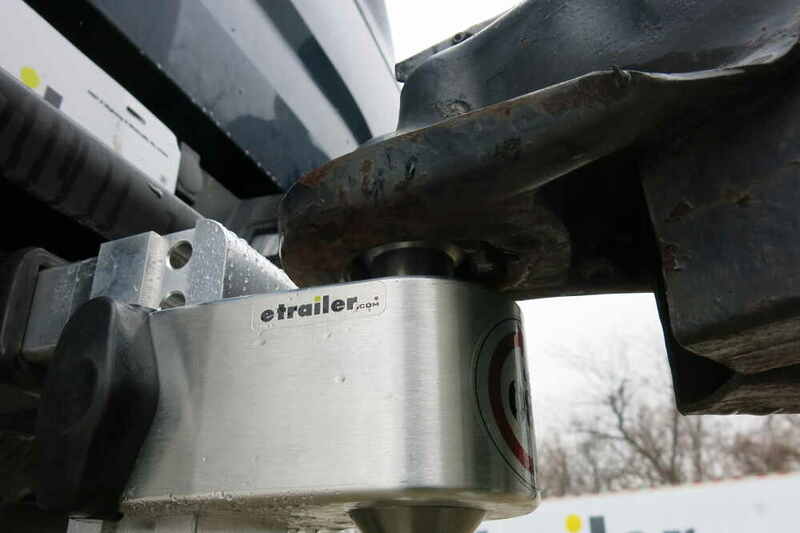 The shank slides into the receiver tube of your hitch, and the hitch balls provide a connection point for your trailer's coupler.You can see here that we have two differently sized hitch balls. Again, you have a two inch and a 2-5/16 inch ball. This is going to let you tow trailers with different coupler sizes, and you can switch between trailers with different coupler sizes quickly and easily. 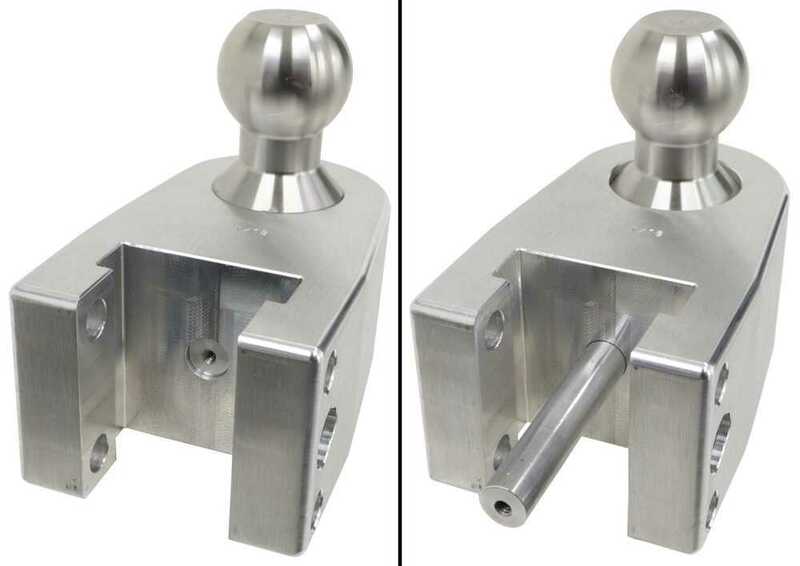 The hitch balls are made from stainless steel, and that's a solid piece design. This right here is aluminum block construction, but running right through the center is the stainless steel hitch balls. Solid piece design, runs right through, held in place with the pin that ges through the back of the unit. Really nice design. Very solid, very strong, very durable. 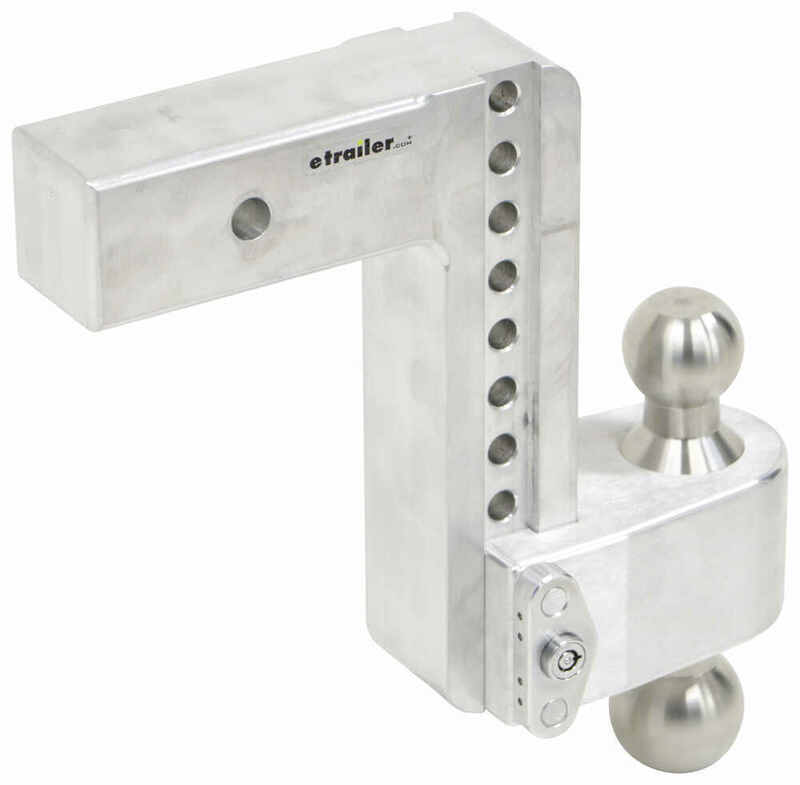 Also, stainless steel, highly resistant to rust and corrosion.To switch between the hitch balls, all you have to do is remove this cover from the dual lock assembly, take one of your keys, place it in, give it a turn, it's going to remove the dual pin assembly and then the ball mount platform can be taken off of the adjustable portion of the shank, exiting through the bottom or through the top. You can just slide it right off. You can flip it over. Back there is that pin that I was talking about, but it does not come out. It's very tight and secure, you don't have to worry about losing that or anything like that. You can take that off, flip it over, reinstall it to switch between the balls, and then secure it in place by reinstalling the dual pin assembly.Once you find your setting, place back in the pins, move it to a locked position, and that's really all there is to it. It's very fast and easy to make your adjustments. Now the adjustable height design lets you tow trailer of different heights using the same vehicle and the same ball mount. 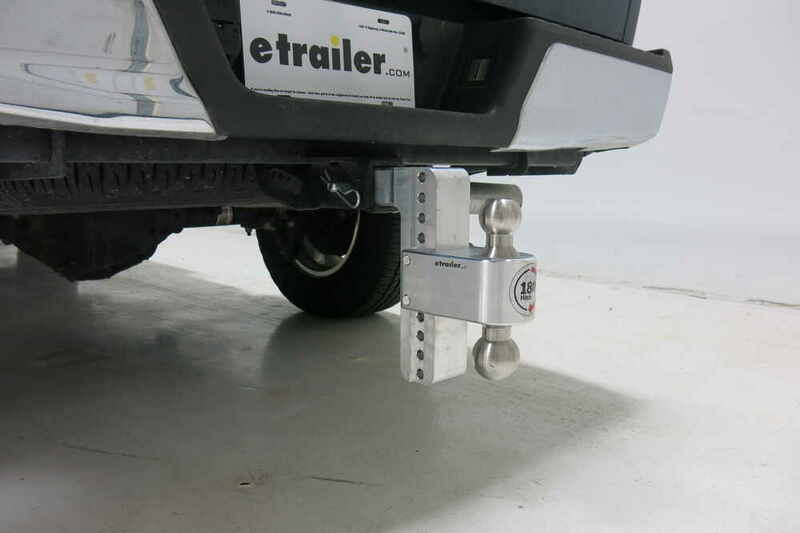 This also helps to ensure that your ball height is as level as possible with the trailer's coupler height, which makes for an overall safer towing setup. 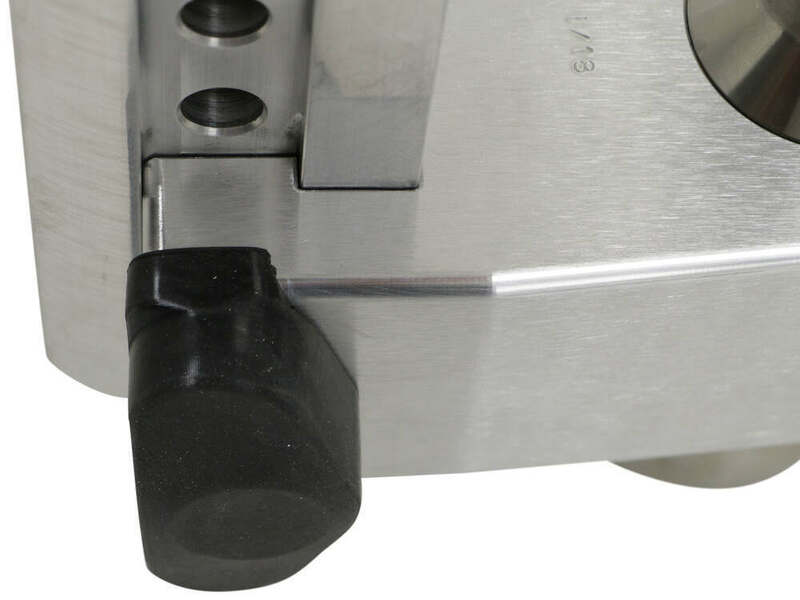 By removing those dual pins you can take that platform and slide it up and down the adjustable portion of the shank to get the height you need for your application. The platform adjusts in increments of one inch, that's the distance we have between each adjustment hole center on center. 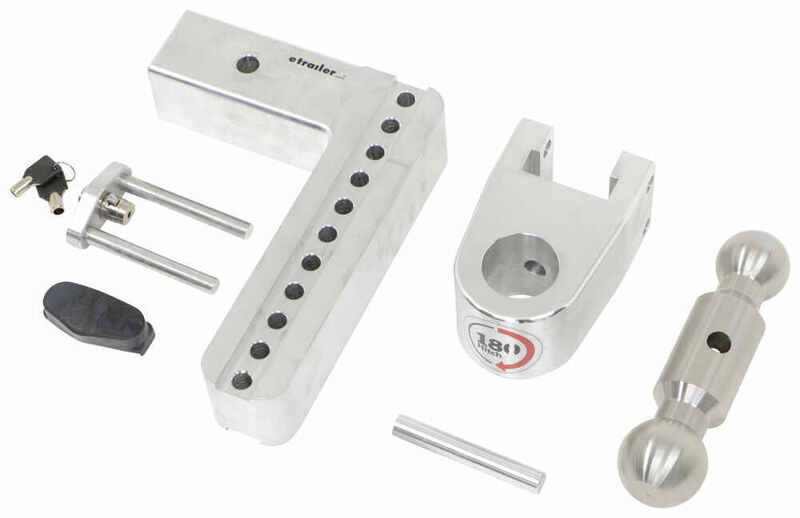 The locking dual pins secure the platform to the shank for added security. It does come with a rubber cover. 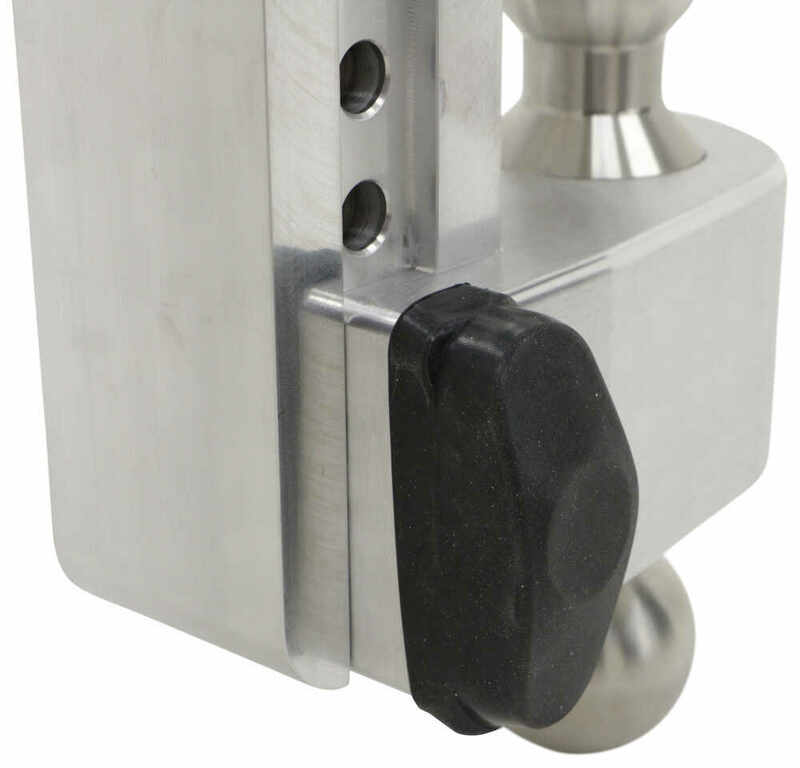 So it goes over, protects the lock core from dust and debris, and again your keys are included.When it comes to the durability of the unit and really how long it's going to last, that's a common question we get with ball mounts, this one is going to rank right up there at the top because of the quality of the construction. We're looking at solid block aluminum. This is a rust-proof aluminum shank and mounting platform made from solid block aluminum construction. Provides a very clean finish that's going to last a very long time. The solid block construction is super strong and durable. 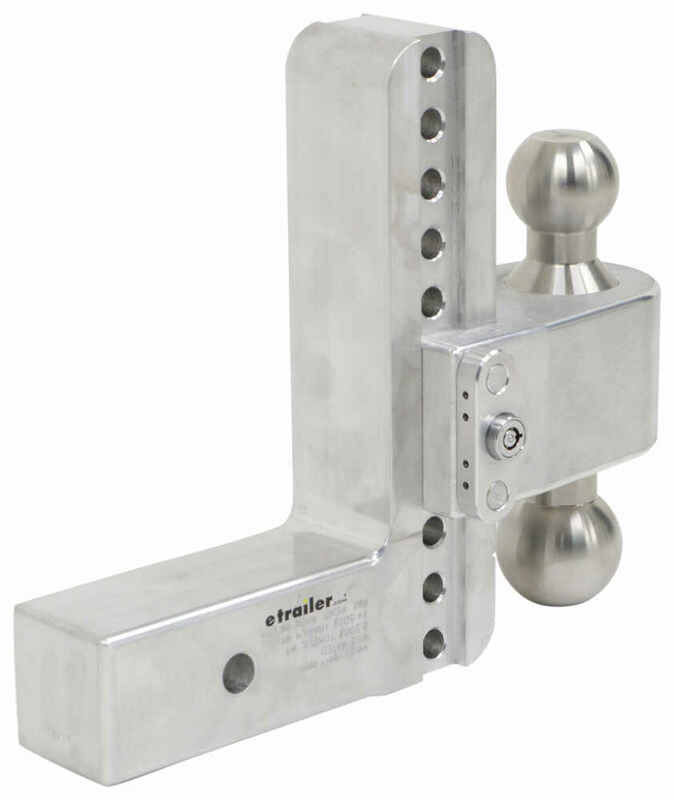 Then when it comes to the hitch balls, those are constructed from a solid piece of stainless steel. 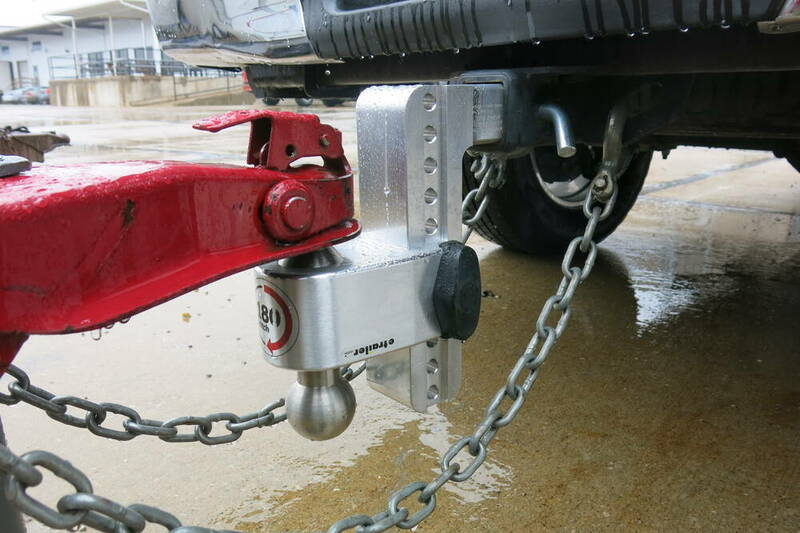 When you're ready to install it in your hitch, it does require a hitch pin and clip or a hitch lock. 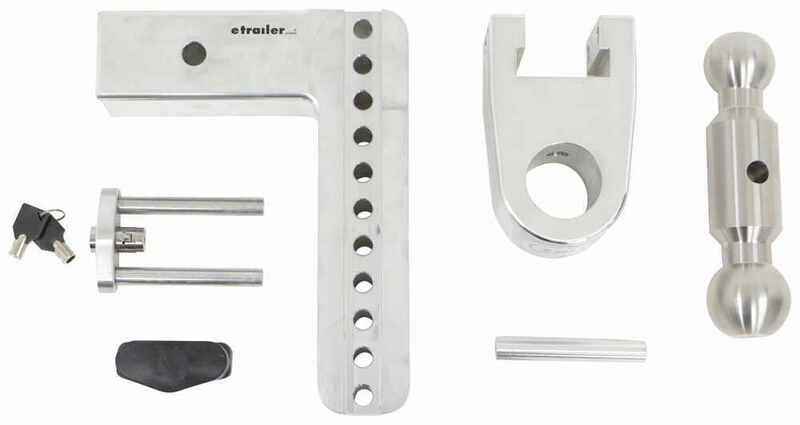 Those items are sold separately and available at etrailer.com. The pin hole on the unit will accept a standard 5/8 inch diameter pin.Like I said earlier, you can use this in the rise or drop position. When it's in the drop position, and if you have the platform at the lowest setting, it's going to give you a maximum drop of eight inches. That's from the inside top edge of the receiver tube of your hitch downy to the top of the ball platform. With it in the rise position, if you have it at the highest setting, it's going to give you a maximum rise of nine inches. Then again, it is adjustable in increments of one inch. The distance that we have from the center of the hitch pin hole to the center of the hitch balls, that measures 8-3/4 inches. That's going to do it for today's look at the Weigh Safe 180 Ball Mount. 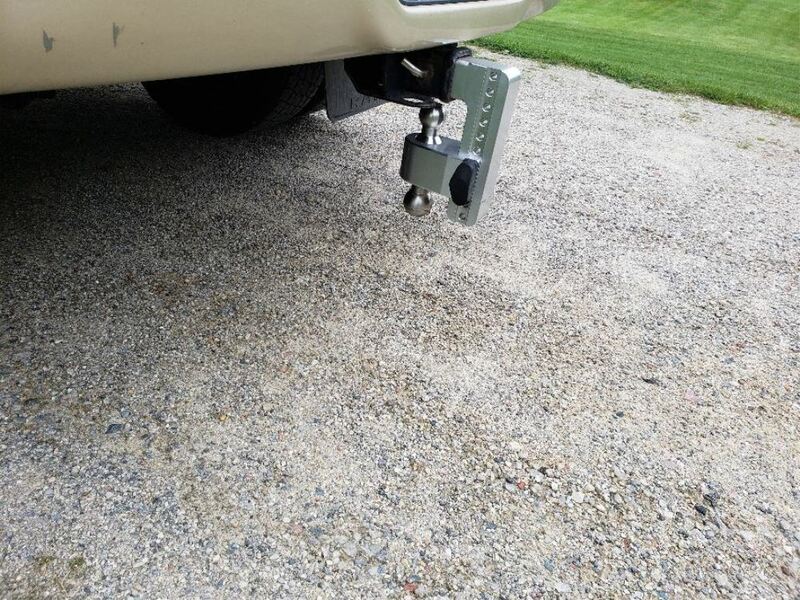 Order: RelevanceNewestRating - High to LowRating - Low to High This rustproof aluminum, adjustable ball mount with stainless steel hitch balls lets you tow up to 8,000 lbs with the 2" ball or up to 14,500 lbs with the 2-5/16" ball. Use in drop or rise positions. 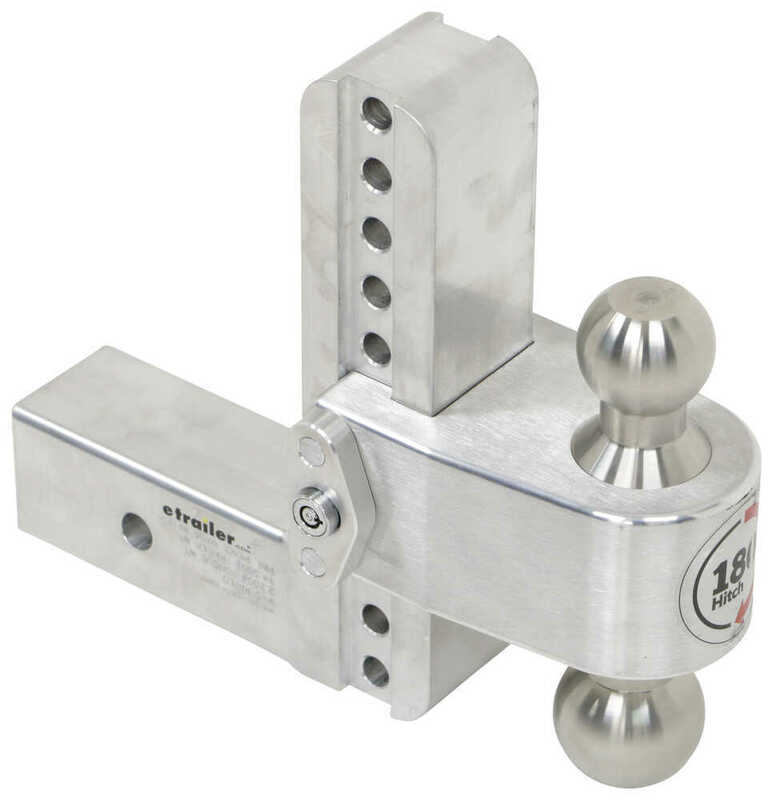 Ball platform locks to shank. Great. Many compliments and recommendations to remove so not stolen. Nice product. I went out to our warehouse and took some measurements for you. 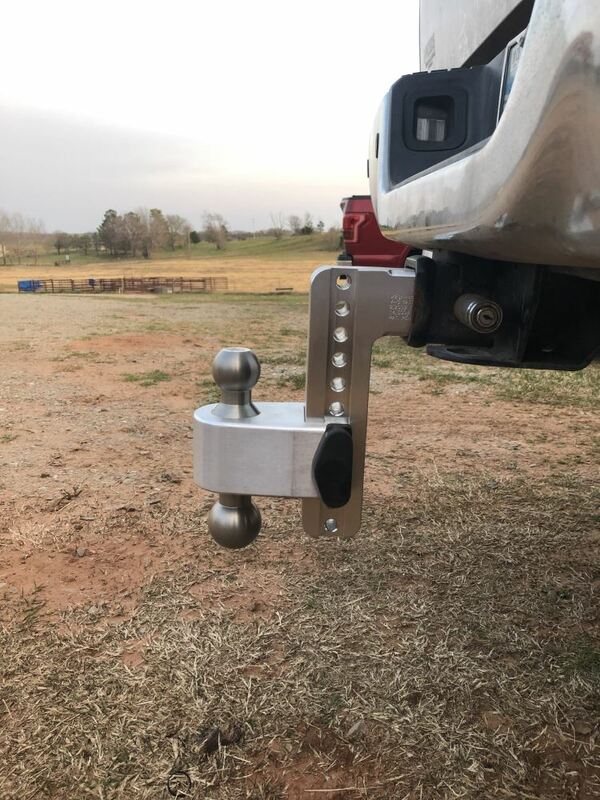 The 180 Hitch 2-Ball Mount w/ Stainless Balls - 2-1/2" Hitch - 8" Drop, 9" Rise - 14.5K # LTB8-25 has a measurement of 8-7/8 inches from center of hitch pin to center of ball. 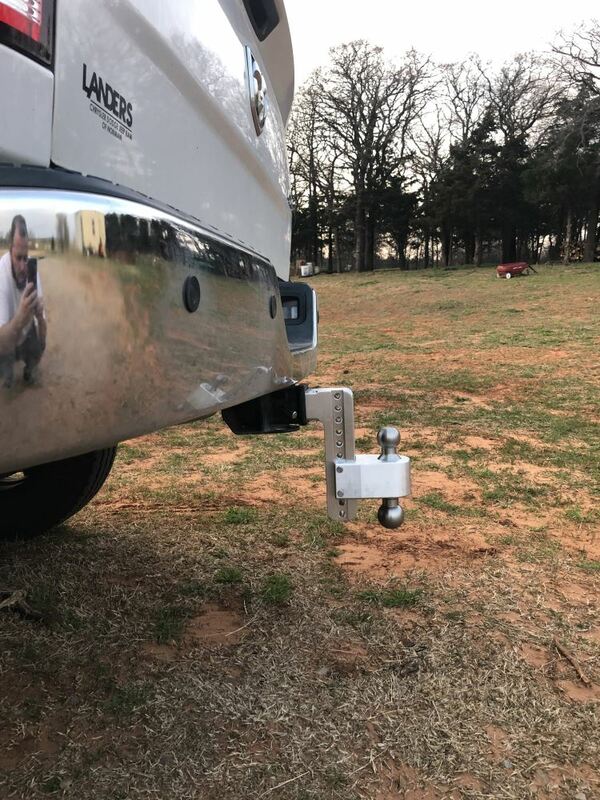 It has a measurement of 5-7/8 inches from the center of the hitch pin to the back face of the hitch ball mount and a measurement of 10-3/8 inches from the center of the hitch pin to the front face of the ball mount edge. I've attached a photo to help. 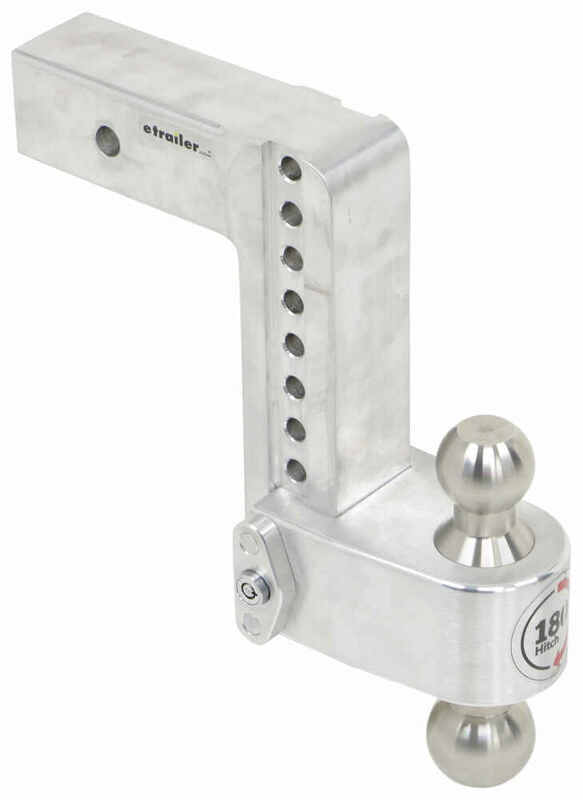 Weigh Safe ball mounts like the part # LTB8-25 are made in the USA. 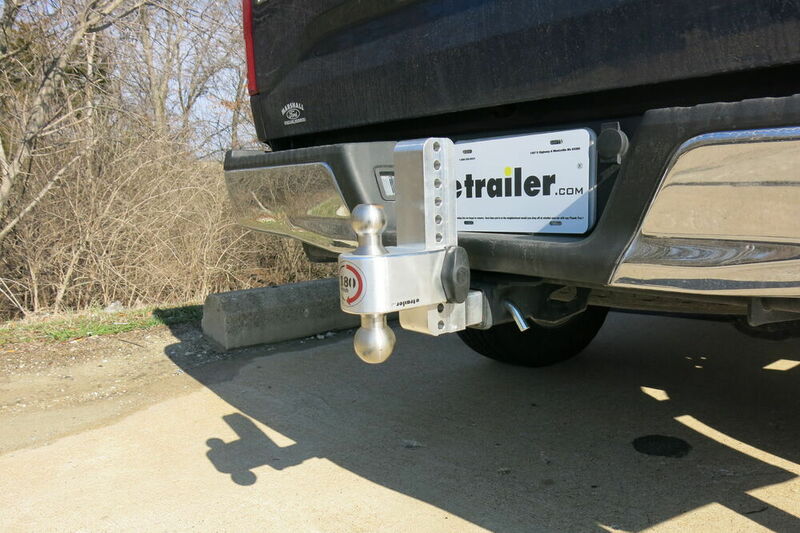 As long as the hitch on your 2014 Ram 2500 is a 2-1/2 inch hitch this ball mount will fit it and work well. It can provide a max drop of 8 inches. The general rule is to get a ball mount that sits a little higher because the tongue weight of the vehicle causes the ball mount to drop a small amount. You want to be within 2 inches of level with the trailer when towing. 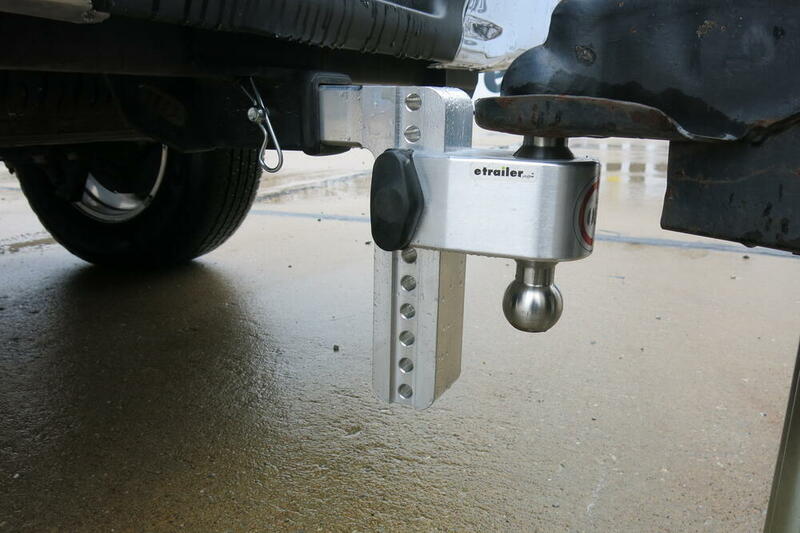 Since your 9 inches away from level, I recommend the Weigh Safe 8 inch drop ball mount part # LTB8-25 for 2-1/2 inch hitches to tow level with your trailer. Notes: Unit has light scratches and scuffs, purely cosmetic will not affect function of product.